DELIVERING value for stakeholder investments, and building stronger collaboration through the supply chain will be among key objectives for Meat & Livestock Australia’s new managing director, Jason Strong, who started in his new role last week. Mr Strong arrives in the MD’s chair being unusually well-known in red meat industry circles, having enjoyed a diverse career covering pastoral operations, meat science and meat grading, genetics, red meat retailing and lotfeeding. It is that diverse industry exposure which has perhaps most encouraged industry stakeholders that he is the right man, at the right time, for the job (click here to read stakeholder responses following his appointment in February). Beef Central spoke to Mr Strong during his first week in the chair to get a first impression about where his early priorities will lie. A natural, enthusiastic communicator with a strong fundamental knowledge of what makes the red meat industry tick, Mr Strong clearly relates to, and enjoys the interaction with stakeholders along the supply chain. He shows an acute awareness of the need to carefully account for every dollar raised for MLA operations – $106.4 million in livestock producer levies alone last financial year, out of a total income for 2017–18 of $272.5m. Raised on a cattle enterprise near Tamworth in NSW, he spent a short period at the start of his working career on cattle properties and selling stock handling equipment. For a period he delivered AusMeat Chiller assessment training courses to producers across Australia. Mr Strong joined Meat Standards Australia in 1995 during the program’s pre-launch phase, becoming the industry’s first MSA grader, before rising through the ranks over the next six years to become MSA grading operations manager. He left the industry service delivery company to move into a new venture as partner in Brisbane’s Butcher’s Block, a cutting-edge, high-end retail butchery outlet in inner city New Farm that was an early pioneer in the promotion of commercial beef brands, each carrying its own provenance story. The site quickly became a ‘must-see’ destination for meat industry visitors to Brisbane. He later moved into animal genetics roles commercialising DNA marker technologies – initially with Jay Hetzel’s Genetic Solutions company, and following its takeover, with Pfizer/Zoetis Animal Genetics. On leaving Zoetis, Mr Strong spent six months in a genetics/herd management consultancy role with the Australian Agricultural Co under managing director David Farley, before accepting a role as Europe regional manager for MLA, based in Brussels, where he spent three years promoting Australian beef and lamb in the UK and across continental Europe. In 2014 Mr Strong was appointed managing director of the Australian Agricultural Co, succeeding David Farley and interim MD Nick Burton Taylor. He spent three and a half years in the AA Co role until a sudden and unexpected departure in August, 2017. After completing Harvard International Business School studies, he has spent the past year or so working in what was widely seen as an interim role as chief executive for large Queensland grainfed beef producer Smithfield Cattle Co.
Until recently Mr Strong chaired the industry’s EU and UK Red Meat Market Access Taskforce, and spent 17 years in a voluntary capacity managing and coaching the Australian Intercollegiate Meat Judging Team. Stakeholders have seen considerable value in the fact that he has worked ‘at the coalface’ across so many parts of industry activity. He joins a small cohort of former MLA chief executives who previously worked in MLA company operations, including David Palmer and Scott Hansen. Mr Strong said he planned to get to as many industry stakeholder gatherings as he could in coming months, as he settles into his new role. “My predecessor Richard Norton did a fantastic job of engaging with grassroots levy payers, picking up the pulse of what levy payers are thinking, and spreading the MLA message. It’s critical we continue to receive that feedback and guidance on how MLA is going, and where our focus should lie,” he said. With cattle markets on the rise and rain relief in some regions extended drought, some might see the timing of Mr Strong’s appointment as fortuitous. “It’s definitely a good time to be around the red meat industry,” he said. Asked to define his management style, Mr Strong said he felt he was collaborative by nature. While some might see that as a deficiency in how the industry had functioned in the past, Mr Strong said it perhaps reflected the broad nature of the Australian red meat industry. “When commercial players in different parts of the supply chain, or from different species or different parts of the industry don’t cooperate, it makes it easier for the RDC’s not to get along, either. Largely, that’s not sinister – it’s just a sign of different stakeholders getting in and doing their own thing,” he said. As an example, Mr Strong pointed to recent chilled meat shelf-life studies done as a collaboration between the MLA donor company and the British Meat Processors Association. “It absolutely makes sense for MLA to engage with groups like US Department of Agriculture, Beef & Lamb NZ or the British Meat Processors on such topics. There are going to be ‘pre-competitive’ research topics that come up, where there is absolutely a global red meat industry interest in getting the challenge solved. Most of those are going to be the big-ticket issues like food safety, or community sentiment, for example, that are challenging for all red meat industries around the world. And some of these, if not resolved, can become industry show-stoppers – not just a competitive advantage of disadvantage to Australia alone,” he said. In touching on key areas of MLA activity, Mr Strong said in general, he thought Australia had done a good job in improving market access to international beef and lamb markets. “But there is still more to be done – particularly in the areas like non-tariff technical trade barriers. That’s certainly an area that we have to remain focused on, which can deliver benefits worth hundreds of millions of dollars if we are successful,” he said. On the back of that, there was also the opportunity to be thinking about how the industry engaged, responded and reacted to changes that are occurring in some of its international markets. Some markets were now very different from when MLA started operations in 1997, Mr Strong said. “Korea, for example, is a dramatically different market today compared with what it was 20 or 25 years ago, when it was basically frozen quarter beef. We now talk about Japan and Korea in the same breath (quality-wise), and newer markets like Hong Kong and China will also change over time,” he said. “Even the product we send to the US today is a different mix to what it was earlier, with niches like chilled certified grassfed changing the product mix. There’s a challenge in how we best manage that information,” Mr Strong said. On a more granular level, there were growing markets where huge opportunities existed for Australian red meat – especially in some of the growing Asian countries where much higher levels of affluence and consequent changes in consumer spending and buying patterns, were seeing different export opportunities emerge. 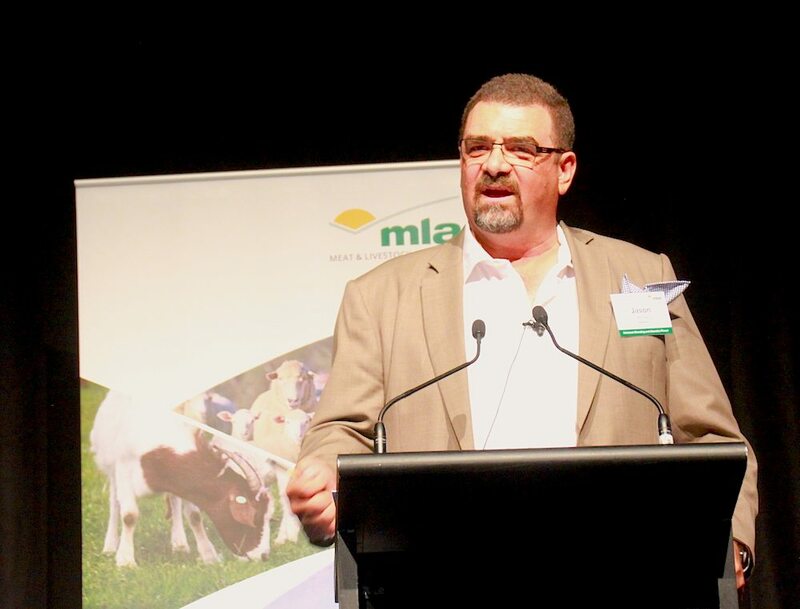 Within the Australian domestic market, Mr Strong said at one level, there was ‘always levels of criticism’ of red meat consumption levels and trends over time, and as a result, of MLA’s domestic marketing performance. “It’s a tough one – looking at the cost/benefit ratios, when the reduction in consumption over the past ten years is considered. But what we don’t have is a measure to determine how much worse those reductions might have been without the domestic marketing campaigns,” he said. “We have to be conscious of that, but in the overall scheme of things, the Australian domestic market is a very small part of the total available global consumer base for Australian beef and lamb. Mr Strong said the way market performance was measured may also undergo some changes over time. “As markets start to change, we should be considering how we measure their progress. Quite often we fall into the trap of gauging performance solely on volume in tonnage, whereas as higher-value branded beef programs continue to grow, value, and incremental value become more important than sheer volume,” he said. Beef Central asked Mr Strong how much responsibility MLA should carry in the challenge of community engagement over issues like animal welfare, environment and sustainability. Jason, once again all the best in the new role. Big job but you are the man for it.